There was a time when the earth was free and belonged to all. People grew food and grazed animals, to eat, to live. Then the land grabs started. With legal stealth and physical violence, “enclosures” were enforced over several centuries in Britain. The commons – the earth and soil and woodlands used by peasants for farming – became the property of warlords who exploited the need to grow food for survival. It does not need to be this way! We do not need to run the world for the benefit of might-is-right profiteers! Fast-forward to the 21st century. One of the problems of producing food in the UK is the lack of available land. Who will be lucky enough to inherit? Most of the land belongs to a small percentage of the aristocracy. Farming land is rare. Land is seen as an “investment”. Investors buy land to lock up their money, using it like a savings account. This means land becomes prohibitively expensive and makes it difficult for would-be farmers to find a foothold. But I bring encouraging news. Community farm ownership seeks to break the “land-as-investment” deadlock, and make land accessible for farming. Let’s take a closer look at this model by visiting Rush Farm in Worcester – which I had the good fortune to do as part of my work with Greenhouse. Rush Farm is an 150-acre mixed traditional biodynamic and organic family farm in the heart of England. 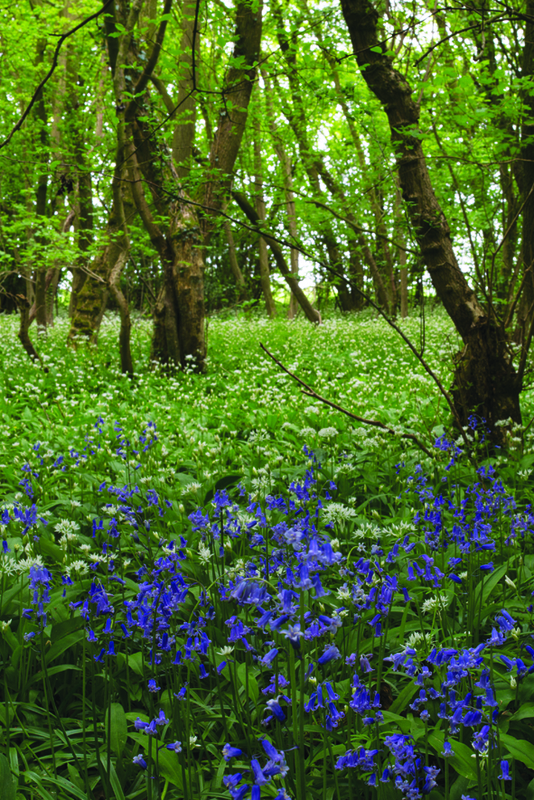 In 2012, its current owners joined with the Biodynamic Land Trust to form Stockwood Community Benefit Society Ltd. The aim is for the Benefit Society to buy Rush Farm and its ethically-run 27-unit eco-property, Stockwood Business Park, from its current owners. Pic below of current owners, Sebastian, Tabitha and Sophie, three siblings of the Parsons family. In this way, the land can neither be passed down to the next generation as an inheritance, nor can it be sold. 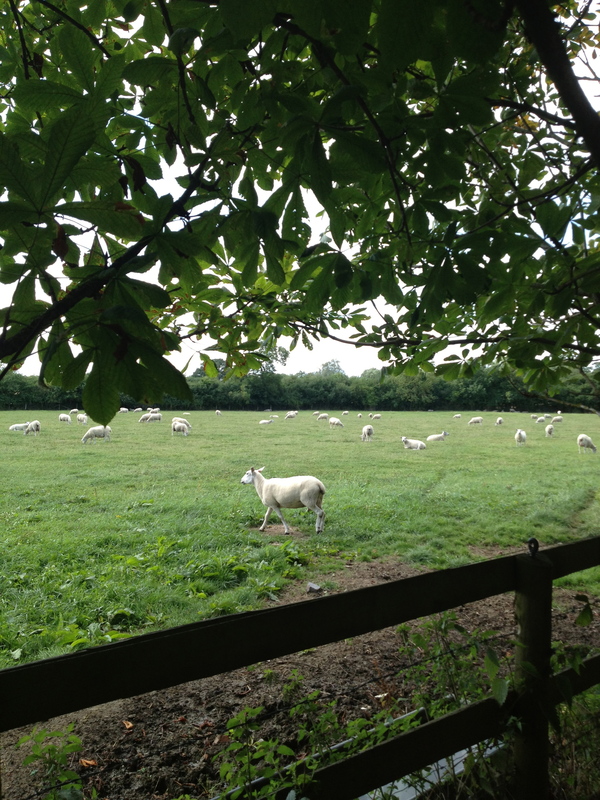 Stockwood Community Benefit Society ensures the land remains as a community-owned biodynamic and organic farm – for ever. Is land a community resource for the benefit of many, or a commodity to be bought and sold to profit but a few? In his article Transforming Capitalism, Martin Large of the Biodynamic Land Trust argues that managing land as a community resource can alleviate the current economic crisis. This is the mechanism: Stockwood Community Benefit Society is selling shares, from a minimum of 100 £1 shares (£100) to a maximum of 20,000 £1 (£20,000) shares. Unlike commercial shares, community shares cannot be sold. Instead, shareholders are supporting a sustainable enterprise. 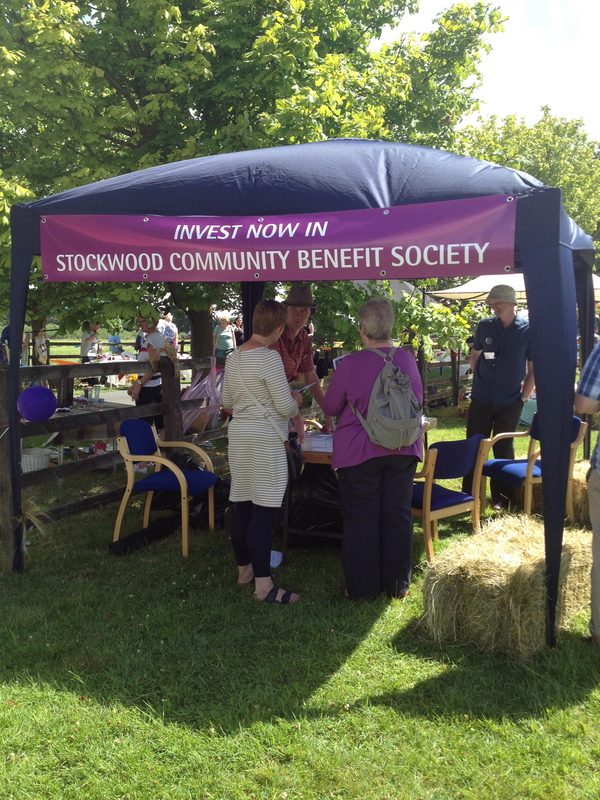 However, it’s not all one-way – Stockwood Community Benefit Society anticipates paying-out 5% interest a year to its community share holders. Here is a pic of its stall selling shares at Rush Farm fete on the 3 August. The £1 million share offer was launched in May and has already raised about half a million pounds. Offer ends 31 October 2013 so invest now! A bit more background: Sebastian Parsons, and his two sisters, Tabitha and Sophie, bought Rush Farm in 2005. Their parents, Anne and Adrian Parsons, have managed it as a biodynamic and organic farm ever since. WOW. Thanks to these enlightened farming methods, the soil is revitalised, carbon-rich, and brimming with fertility. Its native Lleyn sheep and Hereford cattle are beautifully cared-for. The farm’s mixed habitats – ancient woodlands, wetlands, herb-rich meadows and grassland – are nurtured and wildlife has returned, including bees, butterflies, lapwings and curlews. Demeter biodynamic-certified and Soil Association organic-certified Rush Farm sells meat and fresh produce, and also earns an income from the rental from its on-farm Stockwood Business Park (see my pic of a light industrial units) – a vital rural hub employing over 100 local people, and making it viable for them to stay in the countryside. The business park is full of groovy businesses, too. Stockwood Business Park even has its own Steiner/Waldorf nursery kindergarten. 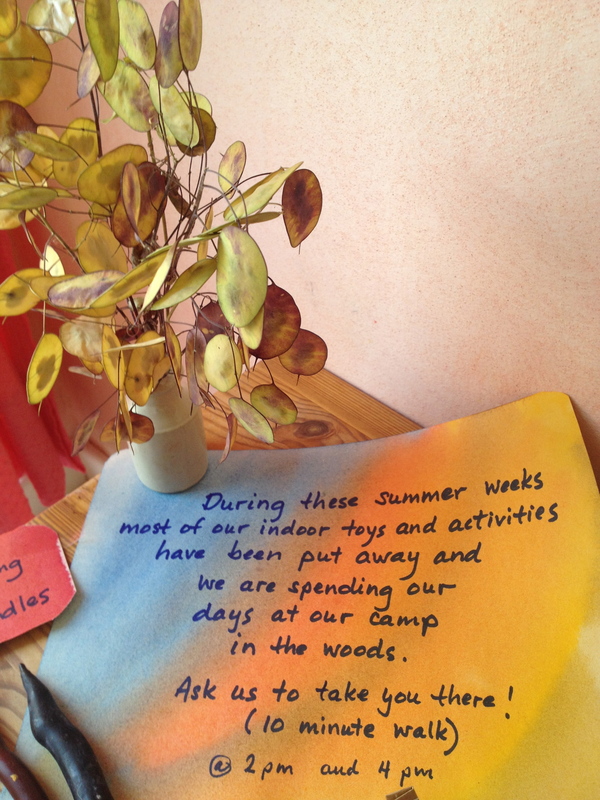 (Please can I be three-years-old again, and attend?). Wrapped around a working farm with lush nature, the business park has to be one of the most blissful places in he world to work. Sebastian Parsons is also the CEO and co-founder of Elysia, which includes the UK distribution of Dr.Hauschka‘s organic skin care products, and is based at Stockwood Business Park. 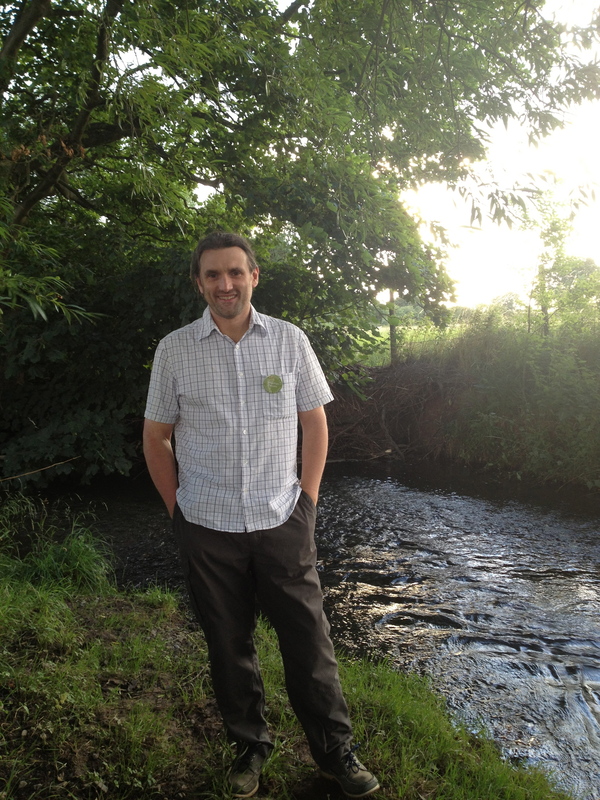 The voluntary chief executive of the Biodynamic Association, Sebastian also applies Rudolph Steiner’s far-out but incredibly practical philosophy on the interconnectedness of everything (anthroposophy) to to Rush Farm, Elysia, and Stockwood Community Benefit Society. Makes sense doesn’t it? Because everything is connected! 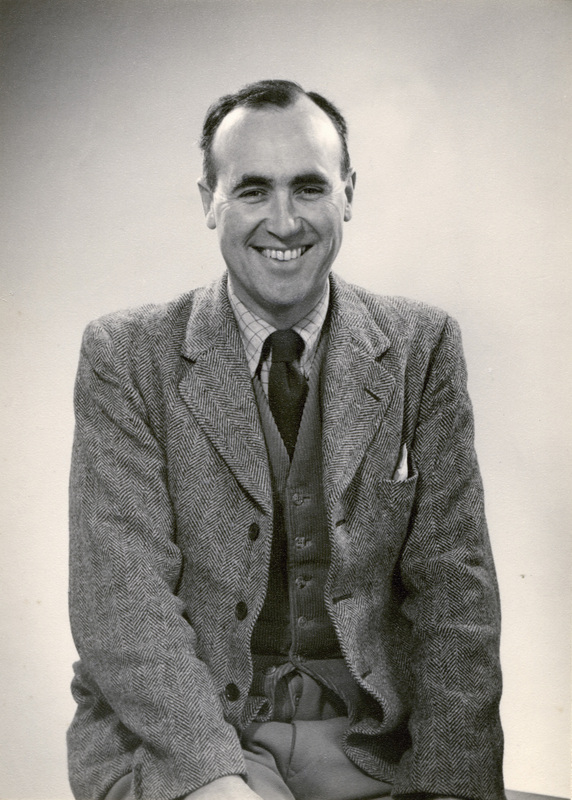 Sebastian’s grandfather was David Clement, a pioneer of Britain’s biodynamic movement. In 1933, Clement bought Broome Farm (also in Worcester) which became an agricultural research centre, and for half a century, the Biodynamic Association’s headquarters. But, sadly, in the 1980s, Broome Farm was sold and lost to biodynamic and organic management– to the Parsons’ chagrin. 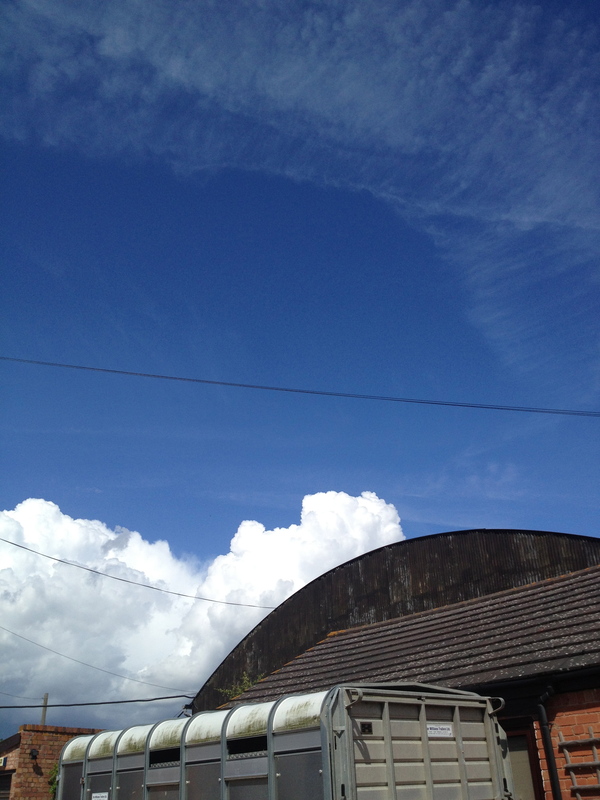 More social history, this time about Rush Farm. Under its previous owners in the 1950s, Rush Farm inspired the writing of The Archers, the world’s longest-running radio soap opera. 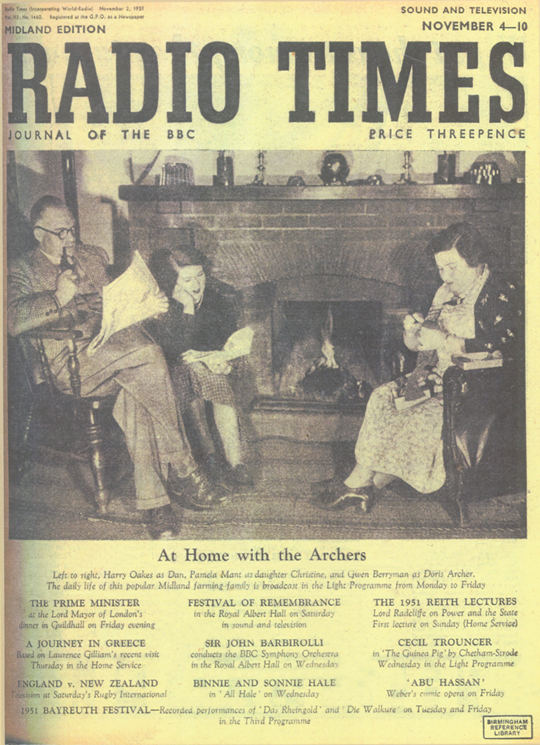 Early episodes were recorded at Rush Farm and its nearby pub, The Bull, at Inkberrow, while Rush Farm’s fireplace featured as the Archers’ fireplace on a Radio Times cover (viz pic). And if that is not enough farm gossip, Olympic showjumper, Pat Smythe, used to ride at Rush Farm, when it was a stud farm in the ’50s and ’60s. 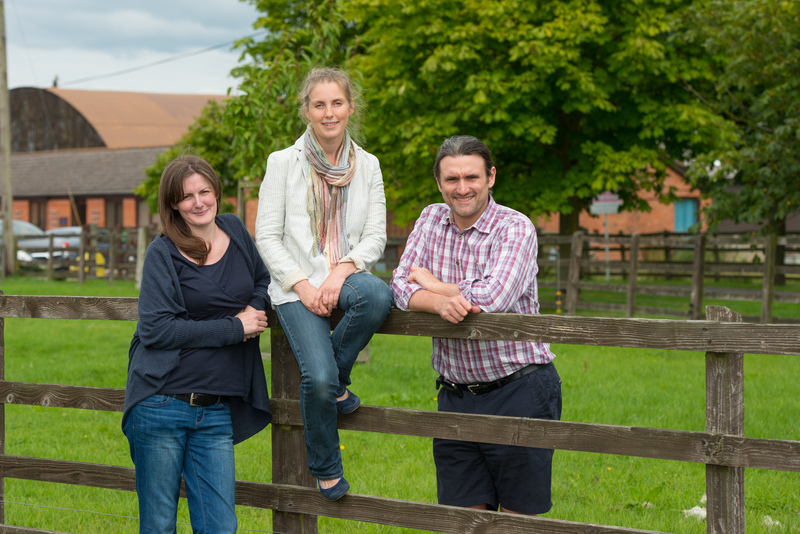 Now Rush Farm is in the limelight again, thanks to its Stockwood Community Benefit Society share offer to secure the biodynamic and organic farm’s future – for ever. Community investors – be part of the solution! Invest in this worthwhile sustainable enterprise (with 5% return). Deadline ends 31 October 2013.